In a bid to to overcome the languid sales of PCs, HP is coming up with hybrid stuffs to re-establish there lost stature in recent times. 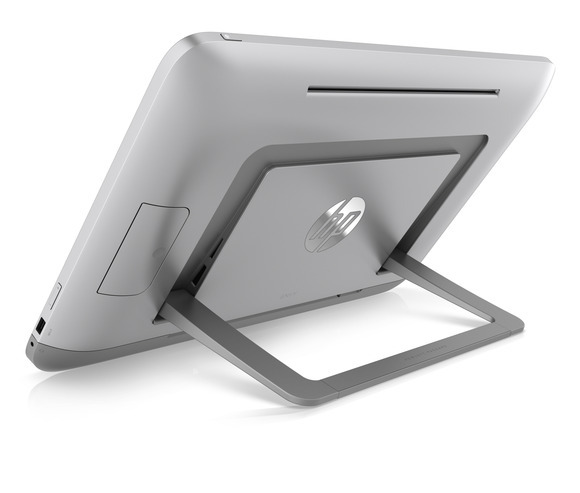 The concept of all-in-one computer is on the rise now and HP is hell-bent to ride on this new wave in the electronic market. HP launches ENVY ROVE, a 20 inch all-in-one which can lie flat on the surface and give an ultimate multi-player gaming experience in particular. This one has a sharp display of 1600×900 pixels which gets even better with integrated Intel HD graphics. Rove is very portable, as it comes with a spring base, hinged stand, which gives the users freedom to place it tilted at any angle on a surface or just simply put it flat and use it as a gaming table or so. The battery backup is good, given the standards and is rated to give at least 3hrs of support. Envy uses Intel’s fourth generation Core CPU, famous as the Haswell, as its processor. There is a range of games which come pre-loaded on the Envy Rove like, Electronic Arts’s Monopoly, Disney Fairies, Musical instruments etc. Through the sources, it is clear that HP ENVY ROVE is expected to be off the shelf in he month of July but, the price at which, is still a mystery. There is going to be raft of similar touchscreen all-in-one, table types coming up from the HP, in the near future. As per the announcements made by the company recently, HP Pavilion TouchSmart series is also about to see its launch pretty soon. Initially there are only two models to be retailed all over, namely, 20-inch Pavilion TouchSmart 20 and the 23-inch Pavilion TouchSmart 23. This series will be more budget oriented though, but, without slackening the performance threads. These might come with an option to choose between Intel 4th generation Core CPUs and AMD CPUs. Their easel stands could go as low as 10 degrees for adjustments. Pavilion TouchSmart23 will meet its buyers from 5th June onwards by accepting the indicative price of $749, while the TouchSmart20 will be on roll from 23rd June onwards @ $620. There are also some new gaming desktops planned to be released with the all-in-ones. With all this buzzing in the HP, the company’s CEO, Mr. Meg Whitman, told this to the media that HP has been trying hard to stand out in the PC market. With the launch of ENVY ROVE, TouchSmart and all other cutting edge PCs lined up with them, the expect their time to change considerably and see a fair rise in the sales all together. Get more updated. Check our NEWS column for latest updates from the Tab PC market. Click here to know, what made the buzz in recent times.